This question -aka- the most appropriately-timed question ever — has prompted me to uncover some things about myself. This week, I moved one step closer to that answer. I’ll tell you more about that later. 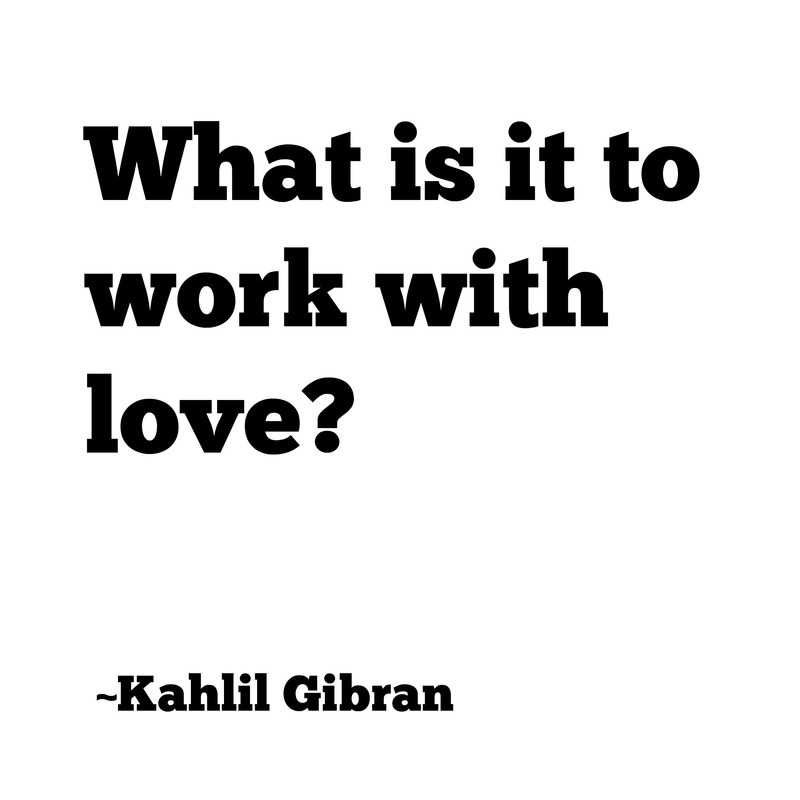 Instead of my words of “wisdom,” I leave you instead with Kahlil Gibran’s wise words on work. I love this passage because it encourages me to remember the heart of what I do. It challenges me to re-think what I see as “work” in my life (is it only making money? or could it also be striving for compassion?). It also removes status from our valuing of work; all work is important, as long as we execute it with love.